You know me, I’m a big decorator for the holidays. Any holiday. Yet I’m just not big on the 4th decorations. Sure, I’ve put out my patriotic door hanging, but other than that, there were no 4th items in the apartment. 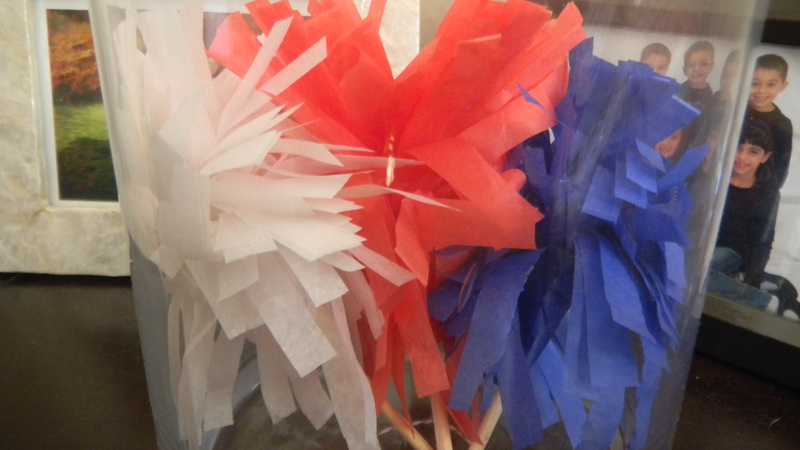 Maybe it’s because there aren’t a ton of decorative items for the 4th that come to mind. Maybe it’s because it’s summer time and I’m always on the go. 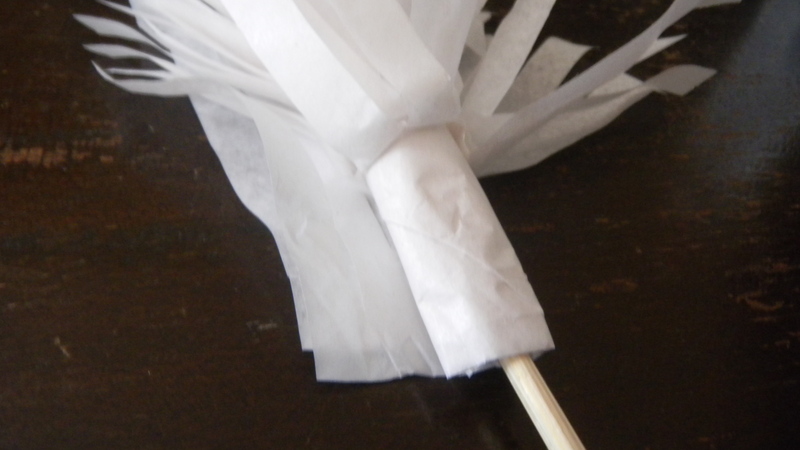 Whatever the reason, I took a few minutes and made some cute and festive fireworks out of tissue paper and bamboo skewers. This was quite possibly the easiest craft I’ve ever made. 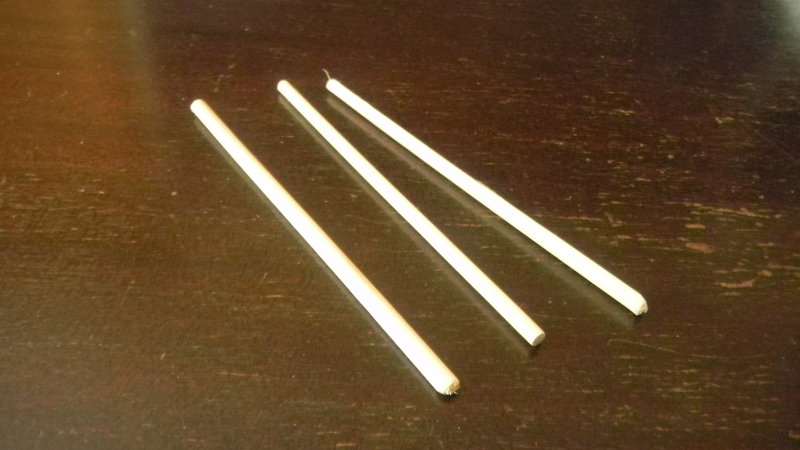 To start, measure out how long you want your skewer to be. I cut mine down, but you can leave yours standard length. Next, grab some tissue paper. I went with the traditional red, white, and blue. Cut 2 pieces of each color into 8 inch x 16 inch rectangles. They don’t need to be perfect. Fold them in half, lengthwise. 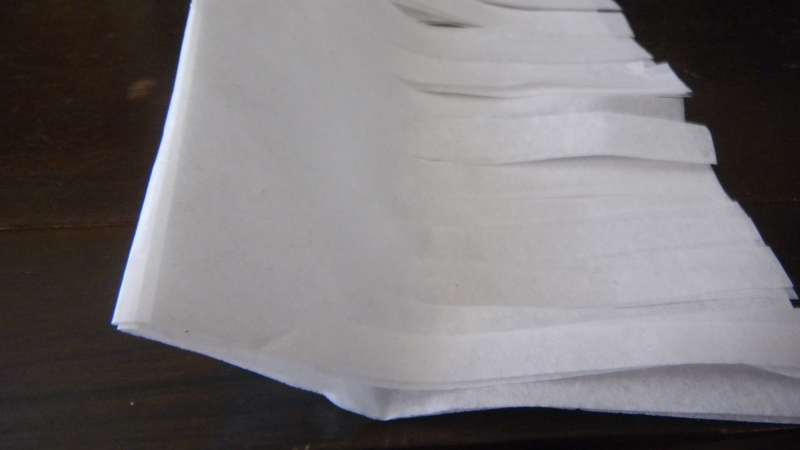 Start cutting into the tissue paper on the non-folded side. Don’t cut all the way up. 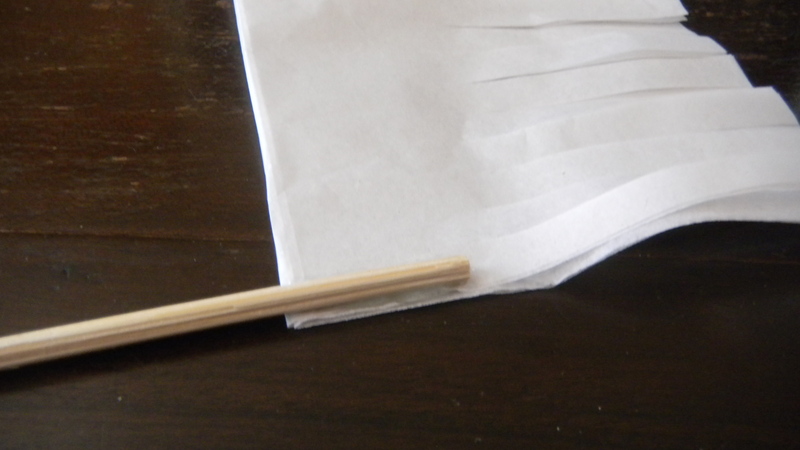 Put a small dab of glue on the end of the tissue paper and put your skewer down on top of it. 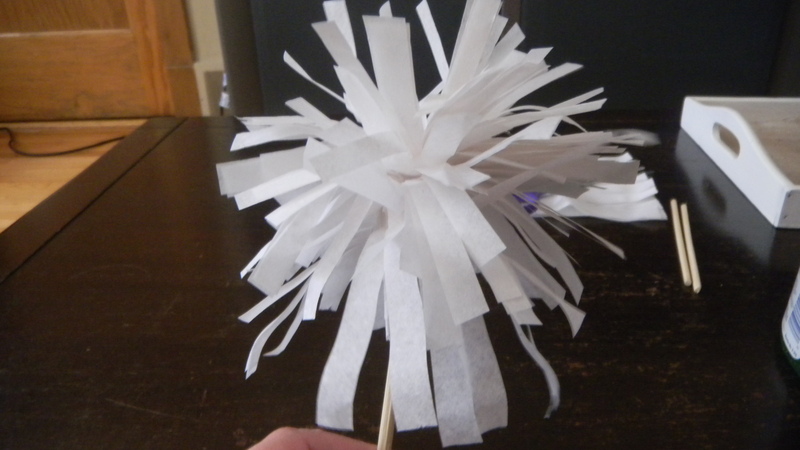 I waited a minute or so, for the glue to start to dry, then I began rolling the tissue paper around the skewer. Glue the end of the tissue paper in place. 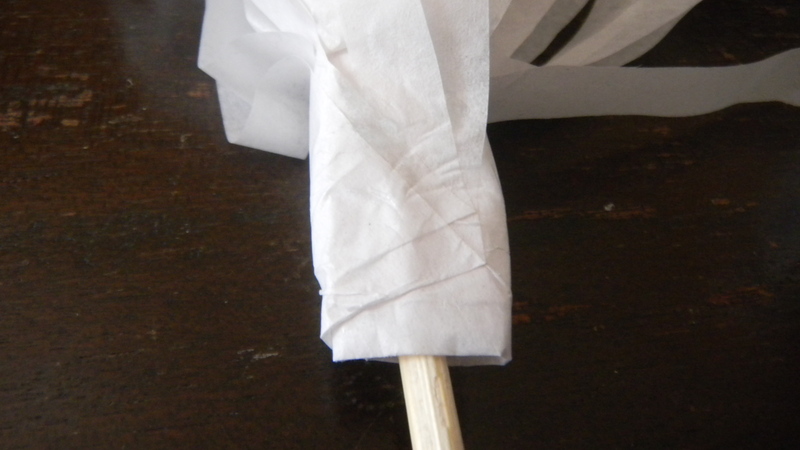 Pick up the skewer and the fringy part of the tissue paper should fall into place. 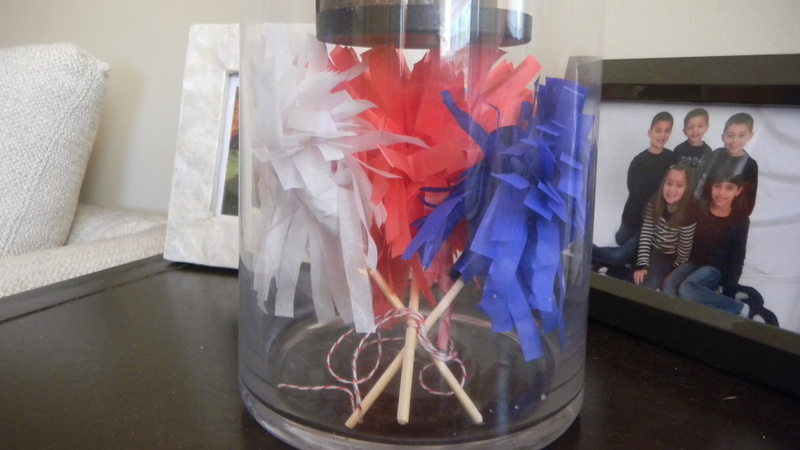 I put my little fireworks sticks in my hurricane jar. 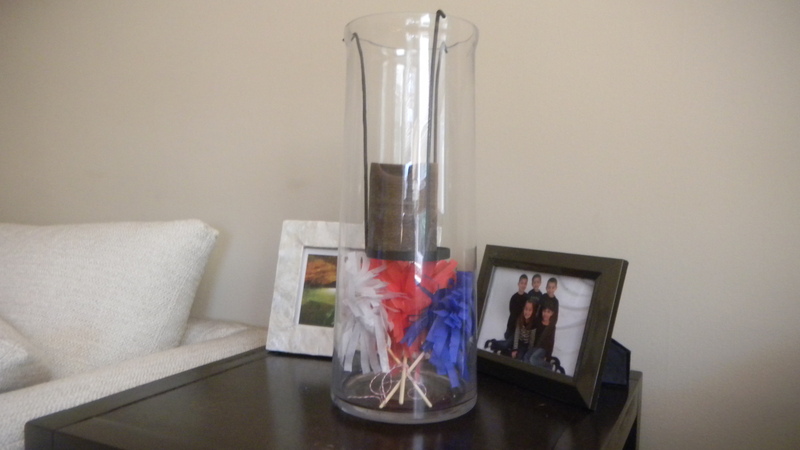 And there is my one 4th of July craft for the year.